Concluding our blog series Teen Driver Accidents: The Facts and Statistics, below, we will discuss a final important fact to know about teen driver accidents, as well as what people should know about their options if they’ve been hurt by a negligent teen motorist. 5. More than half of all fatal teen driver accidents involve the deceased individuals not wearing seatbelts prior to the accident. 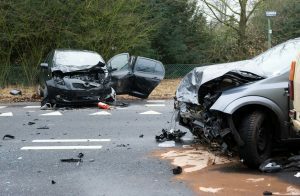 After teen driver accidents, injured people can rely on our Colorado Springs car accident attorneys to help them get the compensation they deserve. In fact, as NHTSA statistics indicate, approximately 60 percent of people younger than 20 years old who are killed in car accidents were reportedly unrestrained prior to the crash. This tragic fact also underscores how a seemingly simple failure to comply with traffic laws can end up having very real and deadly consequences for teen drivers and their passengers. Set a good example for their children by always wearing their seatbelts and complying with all other traffic laws when they are driving. They may be entitled to compensation when any negligence on behalf of a teen driver has contributed to the accident. They will have the best chances of obtaining the full amount of compensation to which they are entitled by contacting the Colorado Springs car accident lawyers at Shakeshaft and Gorman Law Firm. Have you or a loved one been hurt in a car accident? If so, Colorado Springs Car Accident Attorney Kenneth Shakeshaft is ready to aggressively defend your rights, help you recover financially and ultimately help you put your life back together. Since 1982, Kenneth Shakeshaft has been providing people injured in traffic accidents with superior legal representation and the highest quality legal services. While you can trust Colorado Springs Car Accident Lawyer Kenneth Shakeshaft to always fight for your rights, you can also rely on him and all of the legal professionals at Shakeshaft and Gorman Law Firm, P.C. to help you bring your case to a successful resolution in the most efficient manner possible.